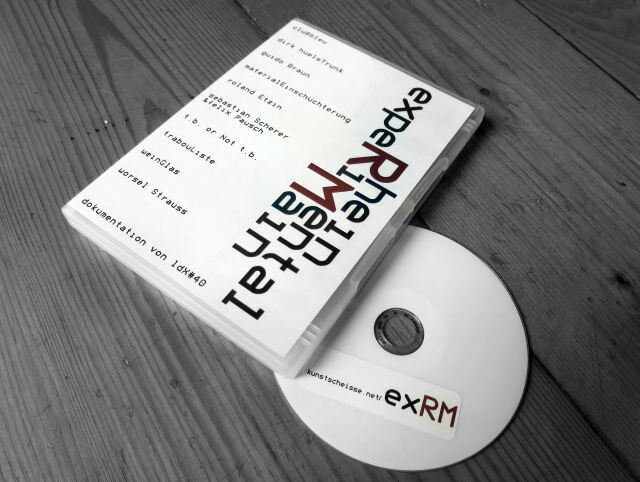 expeRheiniMainental [or short: exRM] is a collaboRative/inteRactive/conspiRative docuMentation about expeRiMental Music in the Rhine-Main aRea. watch it heRe in full length. the pReMieRe took place on januaRy 15th, 2017 [16:00] as paRt of the xeRox exotique seRies (web page - facebook event) at the institut für neue Medien [schmickstRaße 18, 60314 fRankfuRt am Main]. the dvd was Released on the saMe date and is now out of pRint. dirk huelsTrunk t.b. or Not t.b.